*Disclosure: This post is sponsored by Universal Pictures Home Entertainment These opinions are 100% my own. Our dino game is strong here!! 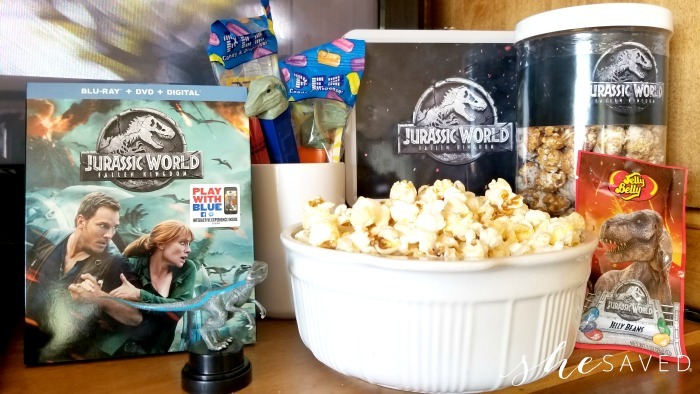 I’m always looking for fun ways for us to stay connected as a family and movies seem to be the perfect way to do that, especially movie series like the Jurassic Park series. 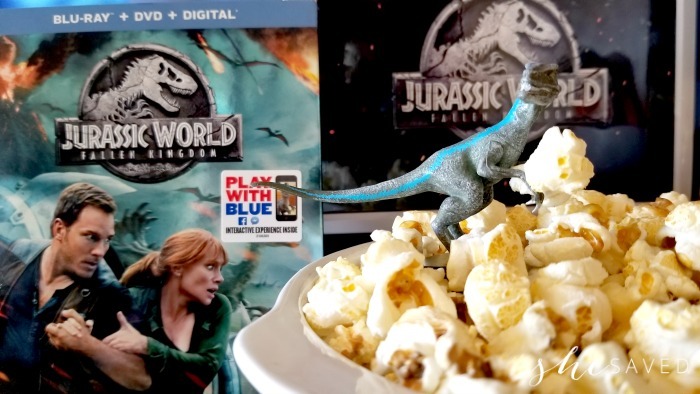 We have anxiously been awaiting Jurassic World: Fallen Kingdom’s arrival to Blu-ray and it was a great excuse to host a Jurassic movie night!! As my kids are getting older, the movie content that we enjoy as a family is changing. While we still choose films and characters that are appropriate and exciting, we also tend to gravitate towards movies that we can all enjoy together. 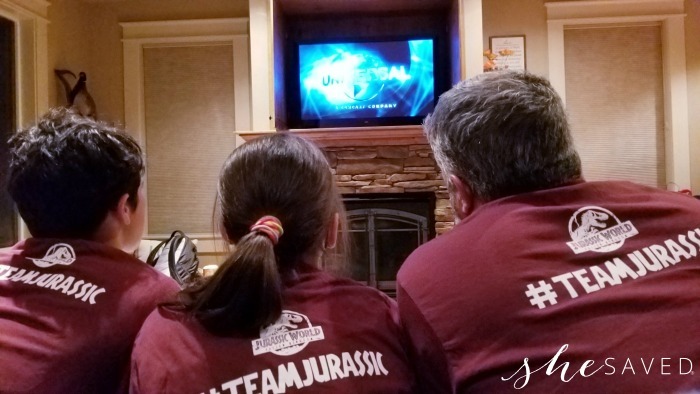 The Jurassic franchise is a fit for the entire family and I love that it brings us all together for these special family moments! 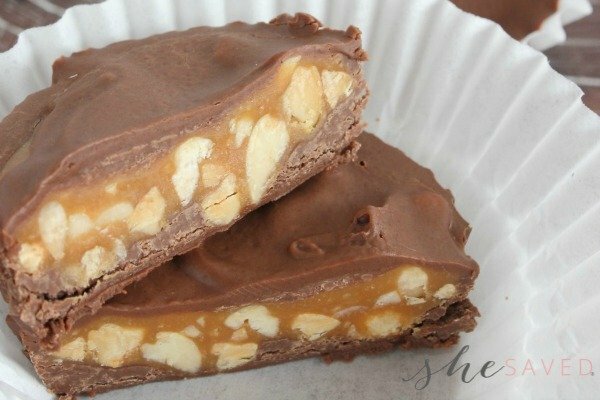 Movies are a fantastic way to bring the family together for fun, laughs (screams, in this case) and quality time snacking on popcorn and watching our favorite characters on the screen. 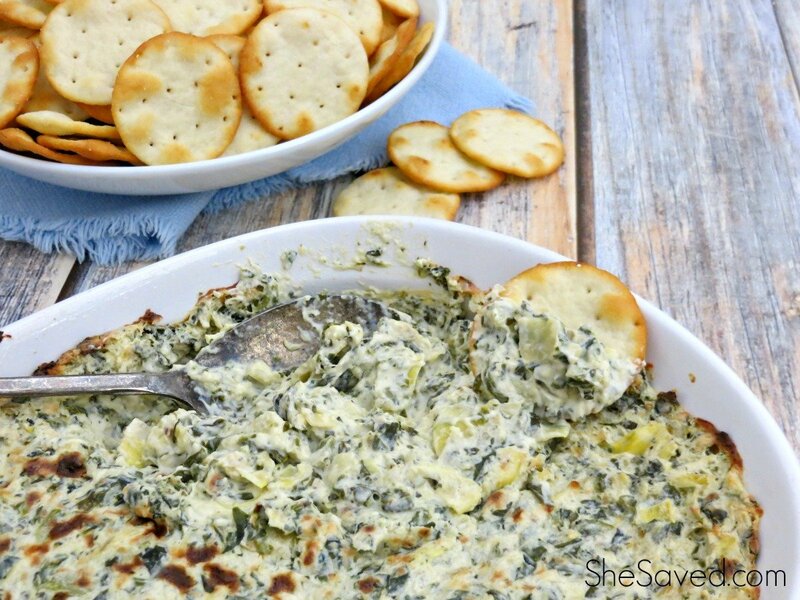 Themed family movie nights are the best, and they are so easy to put together. 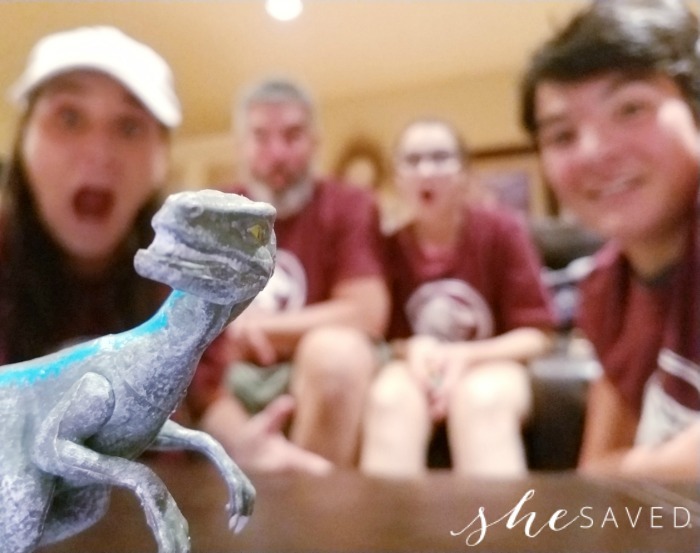 My daughter LOVES to help create themed movie nights, so she was my partner in crime as we got our dino movie night in order! The bonus features on this Blu-ray are reason enough to host a party! 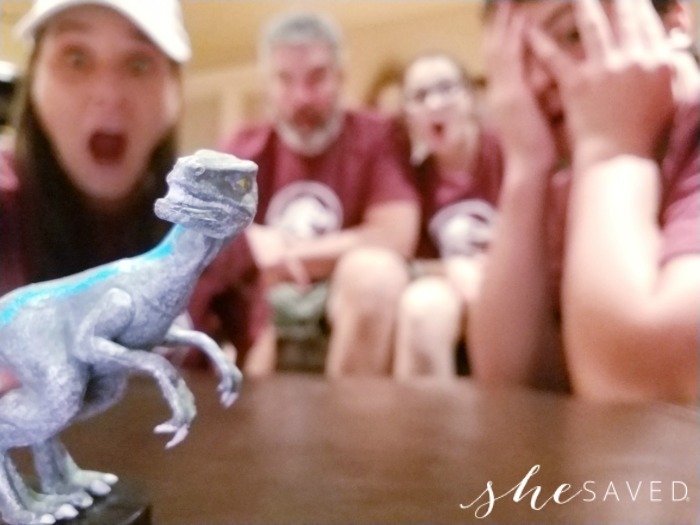 With more than an hour of bonus content – including Chris Pratt’s behind-the-scenes “Jurassic Journals” captured on-set – this ups your in-home dino party game to the next level, my friends! Jurassic World: Fallen Kingdom features over an hour of bonus content and we LOVE bonus content!! We also love being ridiculously silly. I hope my kids never outgrown that. 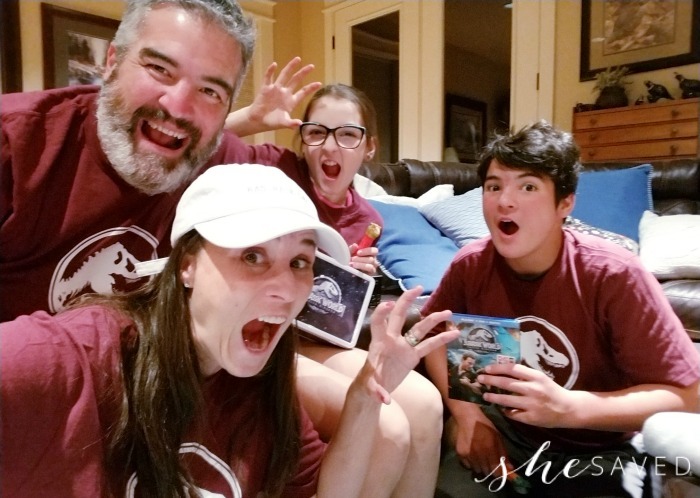 Sometimes it’s hard to find entertainment that the entire family can enjoy together, but I love that my entire family gets excited about all of the dino action. And of course, Chris Pratt is one of our favorites so it’s just another reason to get excited about these movies, right!? 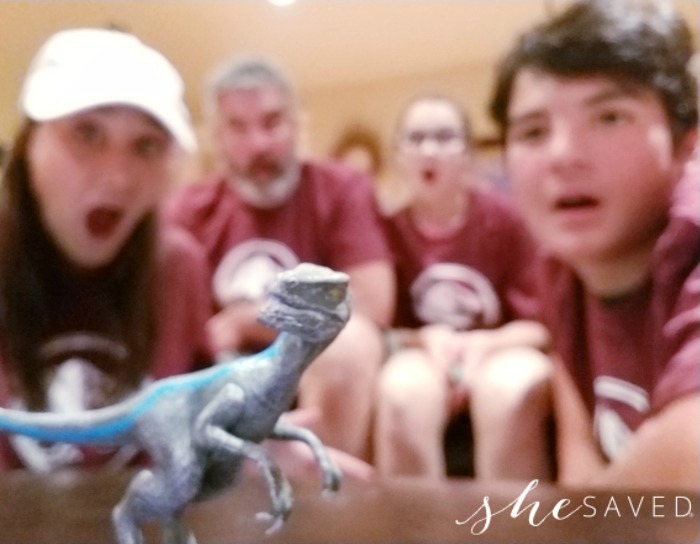 I love my family and I love creating exciting and lasting (and a little bit wacky) memories with them! Building on the wonder and adventure that has mesmerized audiences worldwide, Jurassic World: Fallen Kingdom continues one of the most thrilling series in movie history with an adventure 65 million years in the making, captivating audiences of all ages with a stunning new chapter filled and more dinosaurs than any other Jurassic film. And just in case you didn’t know, this movie features an incredible plot twist that I don’t think anyone saw coming! We are definitely mesmerized! Jurassic World: Fallen Kingdom is available NOW on Blu-ray and is a must have for your family collection! « 2018 Fall Strong Selfie Subscription Box Unboxing!